Transpositions are a staple in magic. The basic effect is simple: two objects switch places. That is it. What David has done in this eBook is that he has come up with five different ways to accomplish the transposition of selected playing cards. The methods range from super easy to...well...not hard but not as super easy as some of the others. Some of the methods are totally impromptu, while others require a small amount of setup. 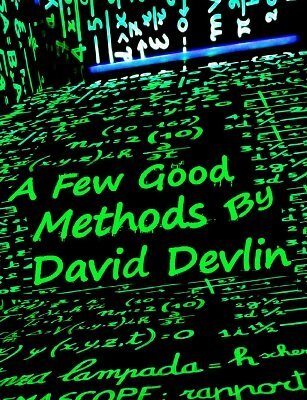 Those of you who are familiar with David's work already know that he does not like difficult sleights or overly complicated methods. So, you will not find any of that here, but what you will find are a few good methods for a single basic effect. Quick & EZ: This is most likely the easiest method of the bunch. A card selected by a spectator switches places with a card selected by the magician. This is quick and easy, but it is very magical. Forced & EZ: This is a very "tongue-in-cheek" comedy presentation in which two spectators "switch places" with each other. By the time you get to the climax the audience will believe that you are insane, but at the end they will see that you really did cause the two spectators to magically transpose with each other. Reminiscent of Elmsley: In this effect, the two cards are freely selected and signed, yet they still magically switch places while they are held in the hands of the spectators. Paramnesia: This is a strange trick because the effect is that nothing happens. It seems totally impossible, but nothing happens at all. Here is the effect: three spectators each select a card. The selections are held face down by its owner. You talk about being able to implant a false memory into the minds of the spectators. Each person then trades cards with each other. Only one trade is made per spectator, so there is no way that any one spectator is holding his original selection. However, when the spectators turn the cards face up, everyone is still holding their own selection. Nothing happened! A Split Second: In this final entry the transposition is a surprise. In effect, a spectator selects a card and it is lost into the deck, which can then be shuffled. Only the spectator knows the identity of this card (let's assume it is the Ace of Spades). The deck is then turned face up and a second spectator selects any card, which can be known to the entire group including the performer (let's say that it is the Queen of Hearts). The Queen of Hearts is then placed face down on the table. It is explained that you will use the queen to find the first spectator's card. You then spell "Queen" dealing one card for each letter to the table. The last card of the spell is turned over, but it is seen to be the Queen of Hearts. Attention is then drawn to the card on the table. The spectator turns it face up and it is the Ace of Spades. 1st edition 2015, 21 pages.